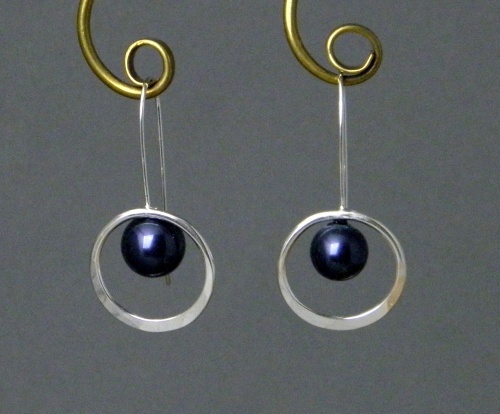 A hammered sterling circle with a glass pearl suspended within circle, and accented with long earwires. A lovely pair to wear daily, or dressed up. Other colors of pearls can be requested - white, black, gray, purple.